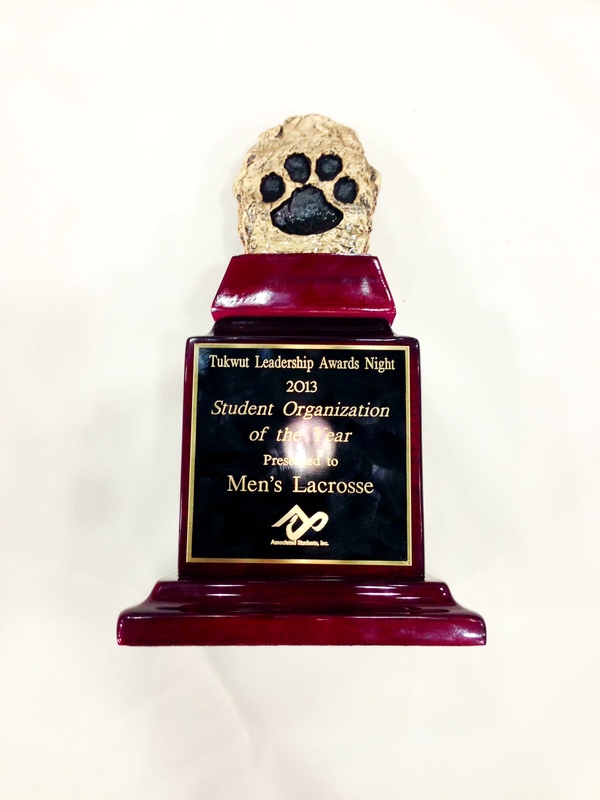 Men’s Lacrosse Wins Student Organization of the Year! The Tukwut Leadership Awards Night was held last week and we were nominated for Student Organization of the Year. Not only was Men’s Lacrosse the first club sport to be nominated for this award, but it was the first to win it as well! This is huge accomplishment for program and we look forward to continuing our success in 2014. Big thanks to all of our sponsors, supporters and fans as well. Go Cougars!